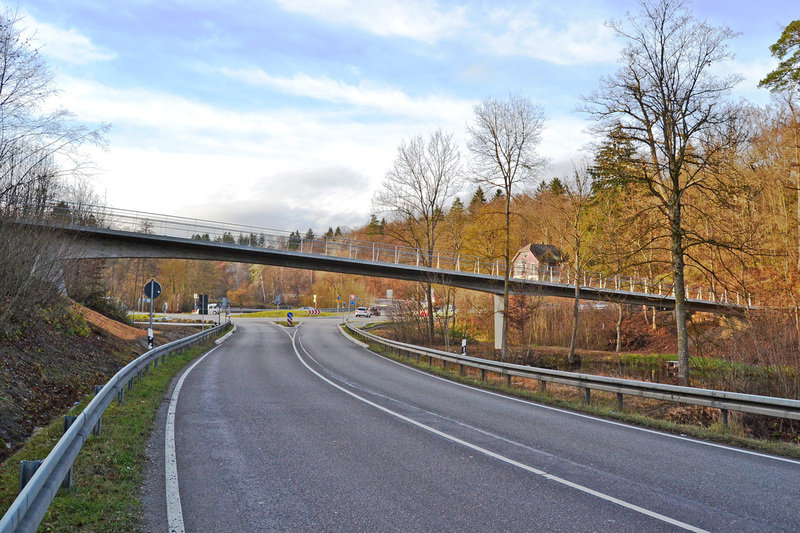 The existing, dilapidated wooden bridge crossing the “Schattengrund” area and the busy street was to be replaced by a persistent new construction. The previously steep routing with up to 8% slope was changed to a slightly more comfortable track alignment with 6.5% slope, while the existing foundations in the valley center as well as the retaining wall on the south side were re-used, which reduced costs and minimized the impact on the existing large oak. When studying possible feasible and economic designs during proposals and meetings, 8 variants and sub-variants were developed. From these, a simple reinforced concrete beam in integral construction without bearings and transitional construction has been selected. 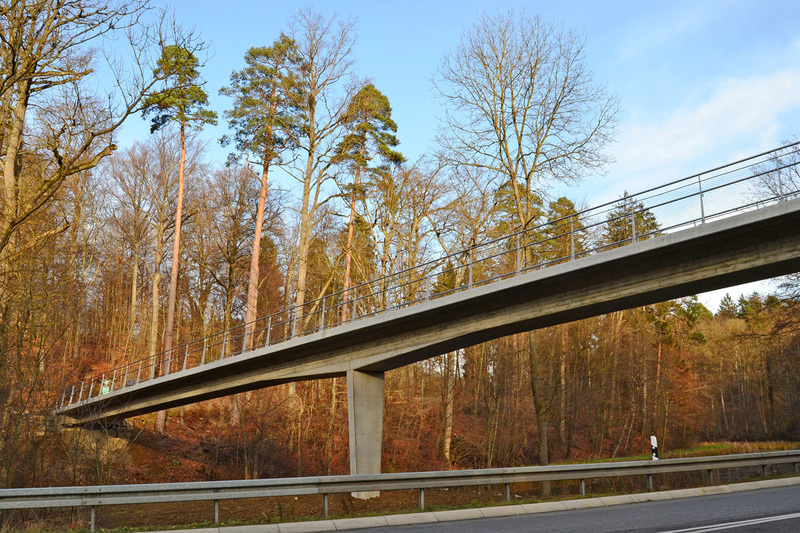 Due to oppositions from nature conservation, the bridge alignment had to be amended, in order to avoid the cutting of trees on the edge of the forest. 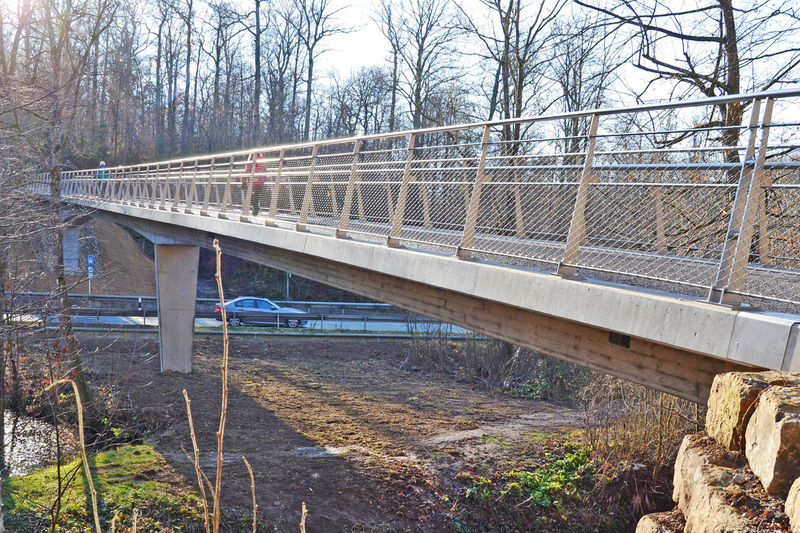 Because of the now small curvature, together with the big length of the bridge, an expansion joint needed to be integrated on the north abutment, in order to avoid large contraint stresses due to temperature changes and concrete shrinkage. On the south side (towards Büsnau) the chamber wall was reused including the wings, so that no intervention into the existing terrain slopes needed to be carried out. 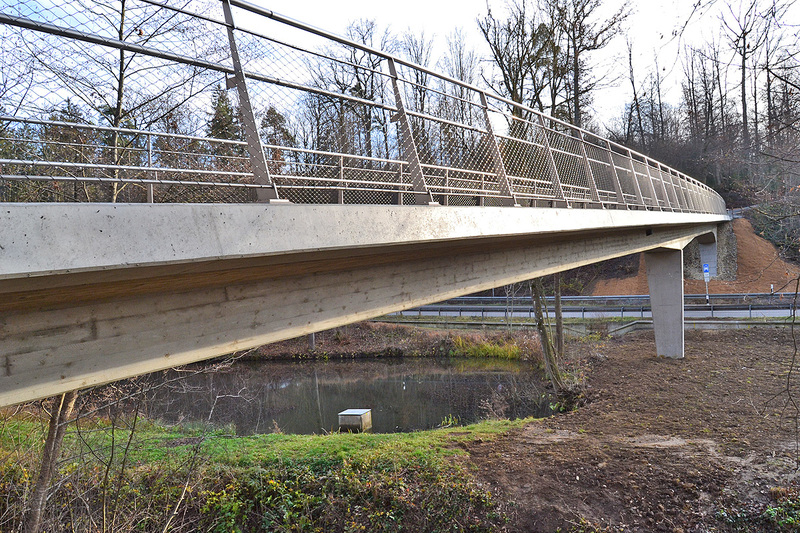 Compared to the previous massive, 1,6 m high wooden beams, the new design shows now a slim, only 80 cm high beam on a thin frame support, which appears to grow out of the southern, steep embankment. 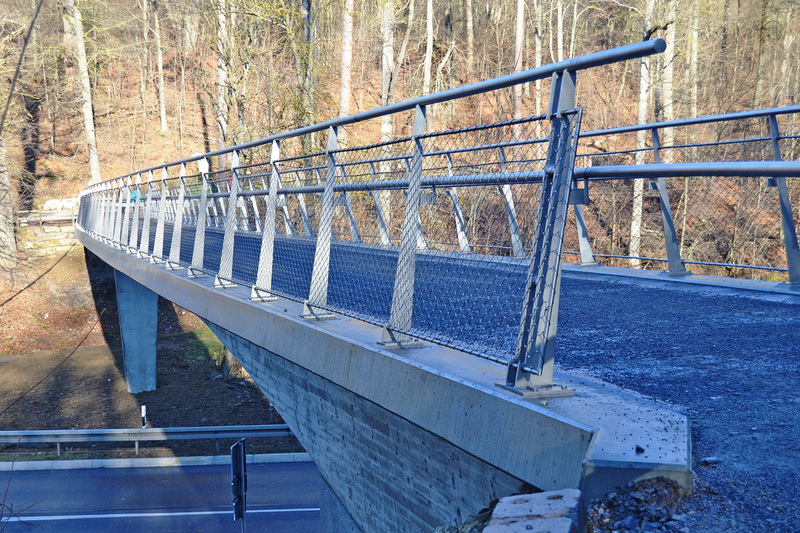 The new bridge, curved in plan with a radius of 670 m and with 67.15 m length, now has a constant pitch of 6.5%, with a width of 3 m. The stainless steel railings with rope net filling on slender cornice allow for an unobstructed view of the valley of the Glems and the lake.